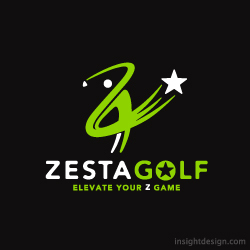 ZestaGolf develops golf equipment and accessories for a more enthuseastic golfer. The logo design is a "Z" and a golfer swinging. See their website.